To my knowledge, handstanding doesn't officially appear in the Ashtanga system until this posture, halfway through Advanced A. It's also possible to jump into it more like Bhujapidasana, but this is so much more fun. Bonus points for keeping the legs straight until the last possible moment. For any yoga practice to be both sustainable and beneficial in the long haul, it needs to do a few things. Physiologically, one of the most important things is to work the abdomen and lower spine. Many spiritual traditions focus on this area of the body for its contemplative and physical benefits, (the "hara" in Zen and martial arts, for example) and even beyond that is the proof of practice. By keeping the abdominal organs healthy and the lower spine supple, this focus takes care of a large percentage of the health needs of the body. I'm totally biased, but the vinyasa movements of Ashtanga address this incredibly well. Chaturanga contracts and strengthens the abdomen and lower back; Up Dog stretches the muscles and tissues of the abdomen while extending the back; Downdog compresses and then releases the abdomen. These movements are paired with complementary diaphragmatic movements that augment the expansion/contraction rhythm. While most of us are focusing on whatever posture/movement is at the forefront of the practice—Marichi D, Kapo, Dwi Pada, or whatever— these fundamental elements are taking care of so many of the background systems that operate below awareness. You may be working on getting the leg behind the head, but in the meantime digestive, lymphatic, immune, sleep, and many more systems benefit from the vinyasa "glue" that holds all the postures together. In many ways, the Ashtanga system is Chaturanga/Updog/Downdog or Exhale/Inhale/Exhale or Contraction/Expansion/Release interspersed with periodic breaks…you know, those other postures. These movements alone have great, deep benefits. The dog posture sequence begins the Ashtanga system in Surya Namaskara and holds it together throughout the seated sequences. The elements of that therapeutic loop appear again in what could be considered the peak of the Ashtanga system: tic-tacs. Relative to the abdomen and lower spine, Downdog/Handstand/Urdhva Dhanurasana is a slight reshuffle of Chaturanga/Updog/Downdog elements, but inverted and with far more depth and intensity. Personally, I keep coming back to this part of the body and of the practice. Beginners are mentally and physically distant, with attention (at best) in the arms and legs. They feel the work of the arms in Sun Salutes and the pull on the calves and hamstrings in Downdog. 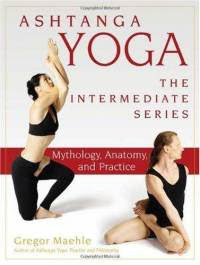 But with practice the awareness moves steadily deeper and becomes centered around and finally through the midsection. An advanced practitioner well knows the feeling of a deep seated forward bend releasing the belly back and back and back until it seems to disappear into the spine, or the residue that remains after deep back bending: a light, liquid energy that seems to hover and flow all the way through the belly and back. 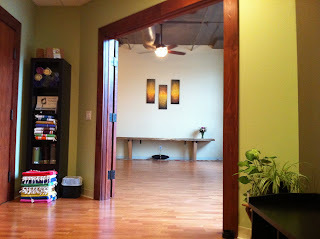 We are now enrolling for our 200hr Teacher Training Program beginning June 2012! 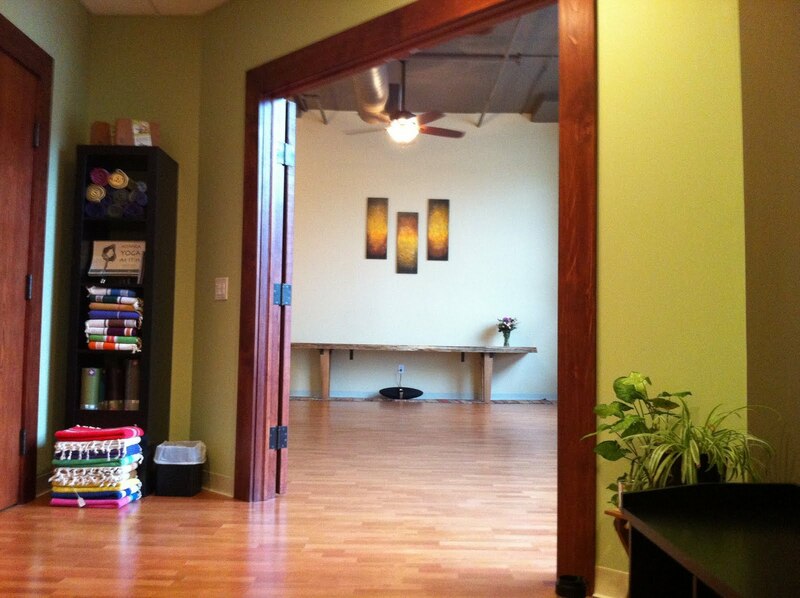 Tapas is a 200hr, Yoga Alliance registered yoga school and training program. To assure you individual attention, we limit the class size to 10 students. Contact us for more information, or to receive an enrollment application. Pregame tired: The yoga bag feels heavier than it should and rolling out the mat is really, well, quite a lot of work. Panic tired: It's the first jumpback and the arms tremble and groan. You just make it back to Downdog. Blankly staring at the ankles, a cold sweat breaks out. 89 more minutes?!? I've made a huge mistake. Optimistic tired: Usually occurs around the Marichis: Hey, we're almost there! Navasana tired: Oh, right, I forgot. Backbending/Handstand/etc tired: Like driving around the lawnmower in the autumn until it dies, you burn up every last bit of fuel. Usually the teacher helps. You think fondly back to Navasana and how spritely you felt. Bliss tired: The perfected state of tired, it's that afterglow that follows you around after practice. You may not be able to raise your arms above your shoulders, but you can't stop smiling. Also known as "wrecked," "cooked," and "ruined." Yay! We are full steam ahead planning our first open house at the new Shala, this Friday, October 14th from 5-7pm. We have lots planned for this night! Evan will present an advanced asana demo and two of our current teacher trainers will present an Acro yoga demo. There will be food, a raffle, friends, class pass specials, and good times to be had by all. Hope to see you there! Some postures take longer to learn than others…and this one is killing me. Quick recap: forearm balance, fold legs into lotus, lower legs to arms and hold in a weird arm-balance-on-the-forearms position and then…and THEN…lift back up, straighten legs, jump back. That sh*t is hard. I've been doing handstand press-ups for a few years and yet the strength to exit the posture continue to elude me. It has to be one of—if not the—most strength-based posture in the Ashtanga system (any series). But I'm figuring it out. Gregor Maehle's book on the Intermediate Series breaks this one down into five or so stages. The gist of the approach is to only lower as far as you can and still get back up after five breaths, which will eventually give the strength to do the full posture. I really like this approach better than the traditional Mysore approach of collapsing into the posture and needing a strong assist to get back out. In part, I like the former better because I don't always have an assist available, but mostly I like it because I think it actually teaches the posture more effectively. Collapsing only leads to panic and reaction; the discipline of the second approach really makes me think about what's going on, and to notice the subtleties happening during the lower down, especially the shifts in balance. This is crucial, because all of those things have to happen in reverse to exit the posture. There is something entirely different about the posture because you are balancing and lifting on the forearms instead of the hands. On the hands, with the arms straight, so much of the integrity of the body is supported in the arm bones, in that part of the skeleton being lined up and locked. But the with elbows bent at 90° or more, the act of being held off the floor is essentially performed by the triceps. Yikes. And yet, it is pure bliss to work and work and work. Primary Series came easily, so it wasn't until Intermediate that I really became acquainted with the essence of Ashtanga: invest in the process, disregard results. With postures this difficult, there is little other choice. Ashtanga vinyasa yoga has an obvious, linear progression. As you master a posture, you add another posture. The difficulty of postures steadily increases, as does the challenge to your endurance. Adding postures, making the practice longer and smoother, being able to accomplish more and more difficult postures: these are all signs of progress. But sometimes you get stuck, for one reason or another. For example, personally I had a period of about six months of working to achieve basic competence in Kapotasana (catching the heels) when I didn't add anything else—stuck. I'm also just coming off twelve months of injury—stuck. There may also be times of illness, very busy life situation, held back by a teacher, etc—stuck. And in truth, Ashtanga is structured so that everyone is always "stuck" on something. Other than the necessary period of "integration" when a student has completed a full series and just practices that as a unit for six months or so, there is nearly always some posture or skill that is not ready for primetime—dropback/stand-up, for example. 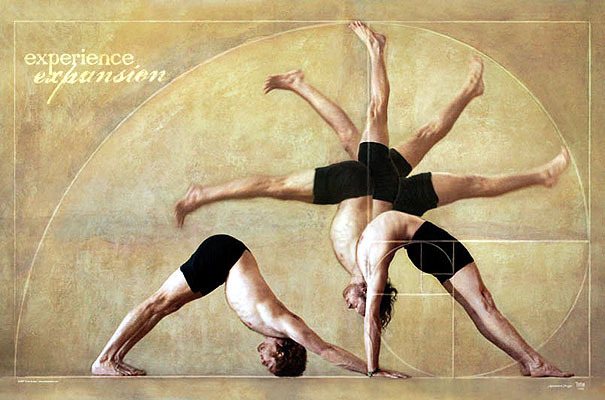 This aspect gives Ashtanga a certain edge that is complete intoxicating…but I digress. All of the above—adding postures, etc—we can call "horizontal" progress. The "stuck" periods reveal the potential for "vertical" progress. Vertical progress is adding depth, it is the practice experience becoming fuller, enriched with attention to details that have otherwise been obscured. This may take any form, but is usually one of the aspects of tristana: vinyasa (movement and breath), bandha (internal attention), or drishti (gazing point). It is as if, by being "stuck," the mind can stop reaching for the next posture and suddenly you find that there is a little bit of surplus attention. After enough practices, the same routine can be done with just a little bit of attention left to explore something new…where to rest the eyes, for example, or the realization that for this particular posture, you should be counting the inhales, not the exhales. When, as a student, you read about tristana and consider it intellectually, it seems tedious, laborious, and artificial to try to remember to pay attention to so many things at once. But simply knowing that it exists, that those elements are all to be integrated sooner or later, means that when the day arises that there is attention to spare, you are ready to smoothly take a hold of whichever aspect has been missing; it simply arises organically. This is a great example of the David Williams quote: "Before you've practiced, the theory is useless. After you've practiced, the theory is obvious."